Are these myths true? . . . or what are the actual facts about Niagara Falls. There are some myths that can be dispelled by digging a little further. Lets take a look at them one by one. It may look like the falls are being turned off in the evenings as about 1/2 of the normal 100.000 cubic ft per sec, is being diverted to the Niagara Power hydro-electric facilities. The flow is also reduced in the winter when there are less tourists. 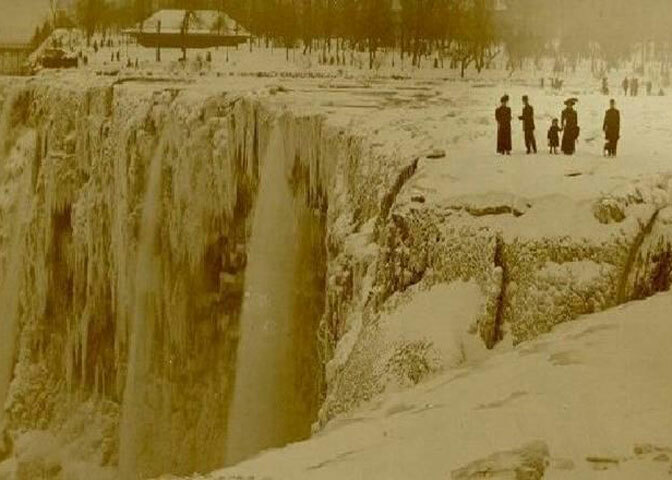 The falls stopped completely for a few hours on March 29, 1848 due to a iceberg blocking off the water flow upstream. The water below the falls would normally freeze and when that happened, people would walk of the ice jam and vendors would set up booths there as well. Niagara Falls and its surrounding parks are free to enjoy. The Niagara Botanical Gardens are a horticulturists delight. There is free parking by the road in front of the School of Horticulture but make sure you don't accidentally go into the main parking lot areas for the adjacent Butterfly Conservatory (which unfortunately is not free- but is quite). There may be parking charges near the actual falls but for drivers who are willing to walk a little further you can park free or reasonable. It is also only 15 minutes from the QEW highway so you don't have to worry about accommodations either. Drive through, enjoy the free stuff and drive out of town to avoid staying overnight. Not really necessary, but certainly an option. Niagara is now a year round destination. 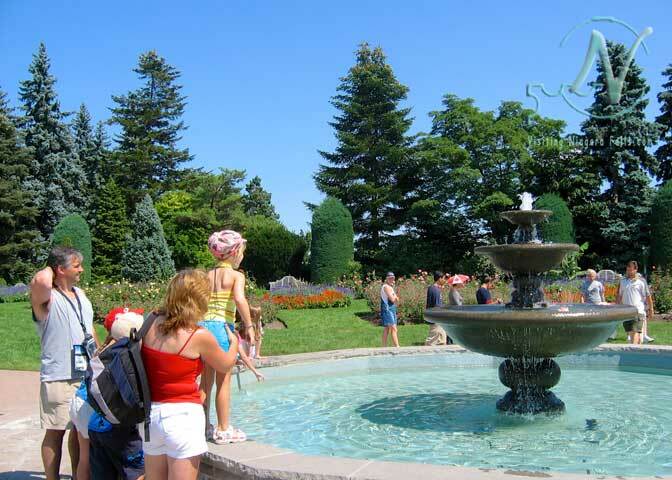 Choose between forts, butterflies and waterparks to name a few year round Niagara attractions. There are so many outdoor and indoor activities going on it is easy to fill a couple of days. I am feeding some Lorikeets and trying to hold still as one was persistently pecking at a freckle on my arm while another was trying to pull out one of my few remaining hairs on the top of my head. Bird Kingdom is one exhibit by nieces ask to visit when they come visiting. 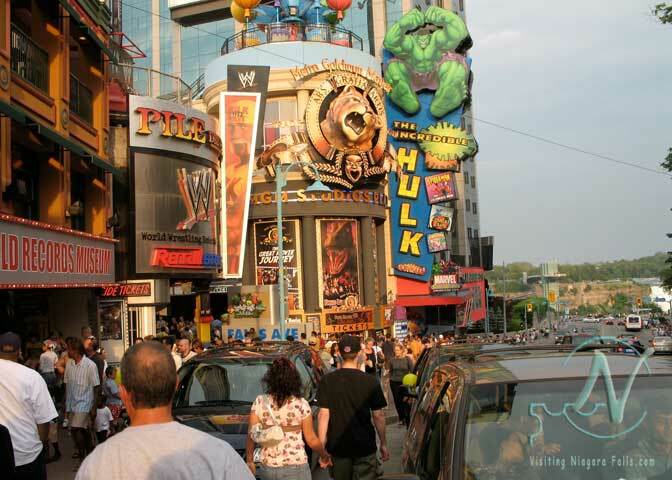 If you like a carnival-like excitement and attractions you will love Clifton Hill. You can see the American Falls along the right hand side of the photo. It is right at the end of the street. However, that is just one of your options. Niagara is also the center of so much Canadian and American history and there is nothing like climbing around a real fort any time of the year. Birds and Butterflies can surround you and boy does that make for some good photos. There are three casinos in case you are feeling lucky. 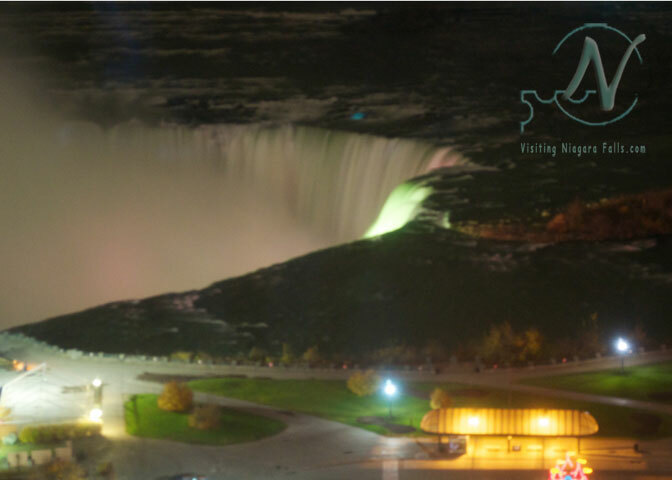 The falls at night is something you won't soon forget as the spray falls freely. If you cannot cross the border from either side, you can still enjoy Niagara in all its splendor. There may be more to see and do on the Canadian side but the Maid of the Mist from the US shore and its new Canadian counterpart get you up real close to the falls. The view of the falls looking up to the brink is just amazing. Total strangers volunteering to take each others pictures. I hoped the big baggie around my camera would keep the water out as there is no way I am not going to try and get these pictures. It did. thankfully. One day will certainly allow you to see the falls . . .
. . . but then there is all the historical, nature and botanical wonders, wineries, museums, biking, watermarks, golfing, dining and dancing. Its quite a selection you have to choose from. Think of all the other pictures that you don't want to miss out on either. 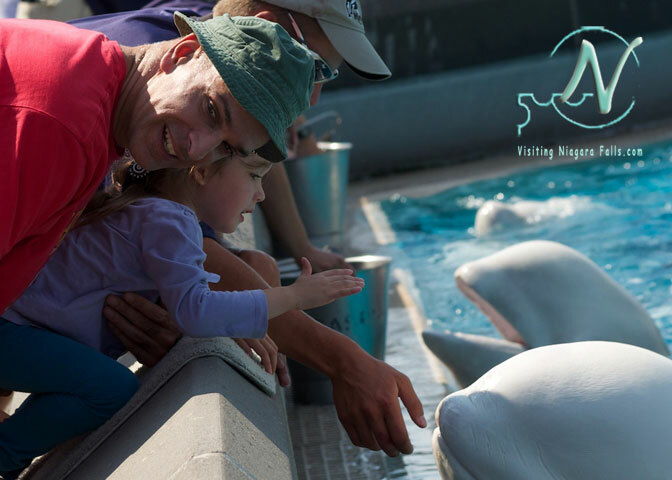 Niagara has something for everyone - especially families. There are hotels with water-parks, some even overlooking the falls. 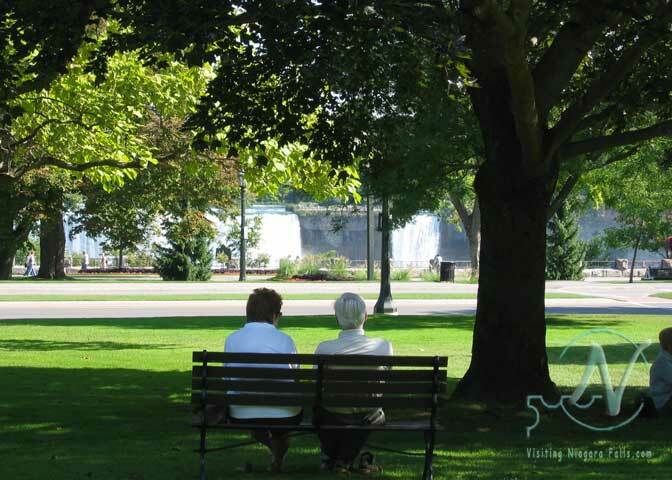 There are parks everywhere and you can even have a picnic on the grass of Victoria Park with the falls in the background. 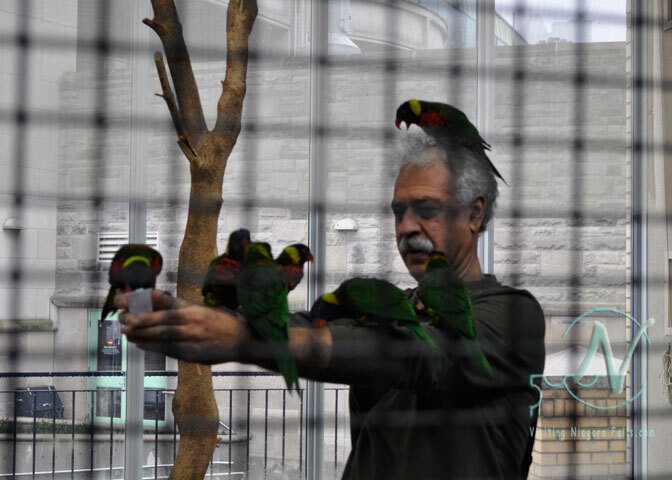 Bird Kingdom and the Butterfly Conservatory allow you to mingle with the birds and butterflies. Marineland has both whales, sea lions, dolphins and even deer. Make sure you have lots of pictures available on your camera. The facts about Niagara Falls certainly seem to prove that Niagara is most certainly a kids-centric place to check out. Well I really don't know what to say? Except see the first 8 points above. The facts about Niagara Falls show that 15 million visitors a year can't all be wrong. However, there are times like you can see that 'Doing Nothing' is exactly the right thing to do. Like, just enjoying a wonderful peaceful day in Queen Victoria Park, watching the falls and maybe even enjoying a picnic. Niagara Falls is centrally located between Toronto and Buffalo. About 20 miles from Buffalo, New York and about 34 miles (across Lake Ontario) from Toronto, Ontario. It is about 60 miles to Toronto if you follow the QEW around the lake. If you are driving, the directions are easy- take the QEW to Niagara. Here are the details on getting here. You can also get to Niagara by train and bus. 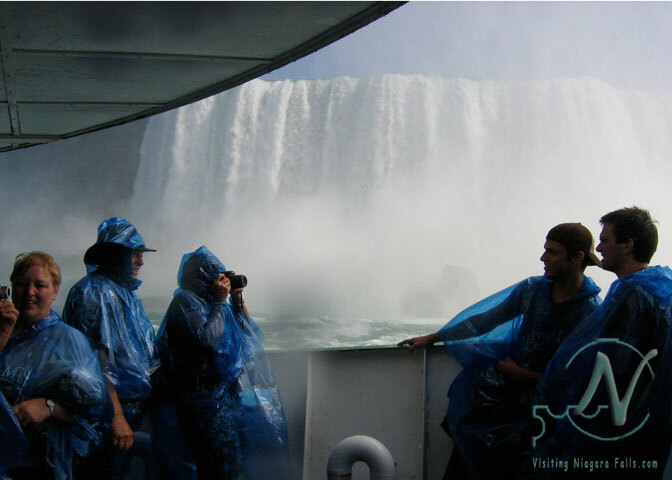 As you can see that although there are many myths about Niagara, most of them can be dispelled by presenting the actual Facts about Niagara Falls. If you have heard any myths or have any concerns just go ahead and ask. Return to home page from Myths and Facts About Niagara Falls.